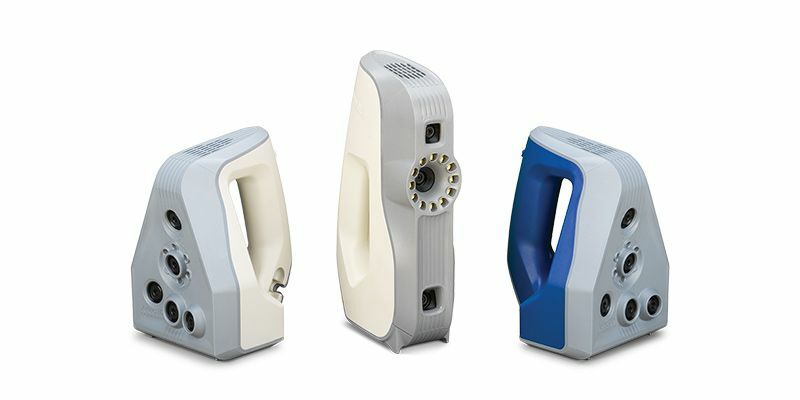 A 3D Scanner is a device that is used to analyze and measure the physical characteristics such as shape and color of a real world object, based on the information collected using different techniques it can then reconstructs a digital 3D model of the physical object that was scanned. 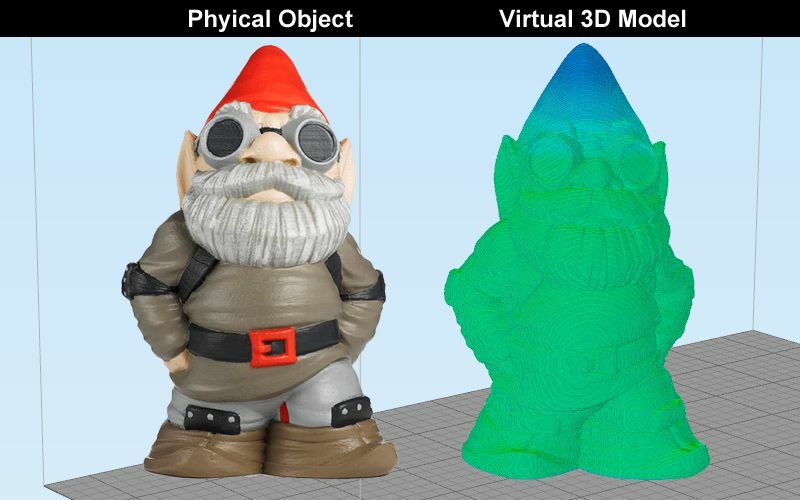 For 3D scanning something you essentially use a specialized piece of hardware, either hand-held or stationary, to recreate a digital copy of a real object that you can then later on 3D print thus turning it back into a real physical thing. There are many different techniques employed by 3D scanners in order to get the required data for the shape of an object. Some 3D scanners do provide only a 3D model of the shape of the scanned object, while others might also include additional data such as the actual colors in the form of a texture as well. Do note that 3D scanners are not used only for 3D printing, they are helpful in many areas where you might want to digitize a real world object and make a realistically looking 3D model such as in movies for example. Normal consumers usually don’t have access to 3D printers that can print in full color (these are much more expensive), but instead mostly use a single color filament, so a 3D scanner that provides color information as well is not very needed. What is very attractive in the idea for a 3D scanner to new 3D printer users is the fact that such a device would be able to essentially “clone” real world things and then 3D print copies as much as they want. The reality however is harsher and things are not always as easy as they may seem, or as 3D scanner manufacturers may want you to believe. Many believe that using a 3D scanner is easier way to make a 3D model of something real and then quickly just 3D print it than having to design the model themselves. I have already talked about the need for some, even basic 3D modeling skills, for properly taking advantage of the capabilities of a 3D Printer at home. Even if you don’t have these yet, you can start learning and quickly get up to speed with a simpler program like SketchUp. A 3D scanner may save you some time, especially in getting a 3D model of more complex structures, however you will most likely still have to do some additional work to get a good result before actually being able to 3D print something useful or looking a lot like the original that you have scanned. Just like a regular newbie when I got my first MakerBot Replicator 2 3D printer and was making my first steps into the world of 3D printing I also got interested in 3D scanners. Obviously the first thing I did was to go to the website of the company that made my 3D printer and look if they are also offering 3D scanners. They of course did offer the MakerBot Digitizer, though at that time I thought that it was a bit too expensive, right after purchasing the 3D printer. The prices of 3D printers two years ago were higher and there weren’t that many options available as there are today, the same goes for 3D scanners. 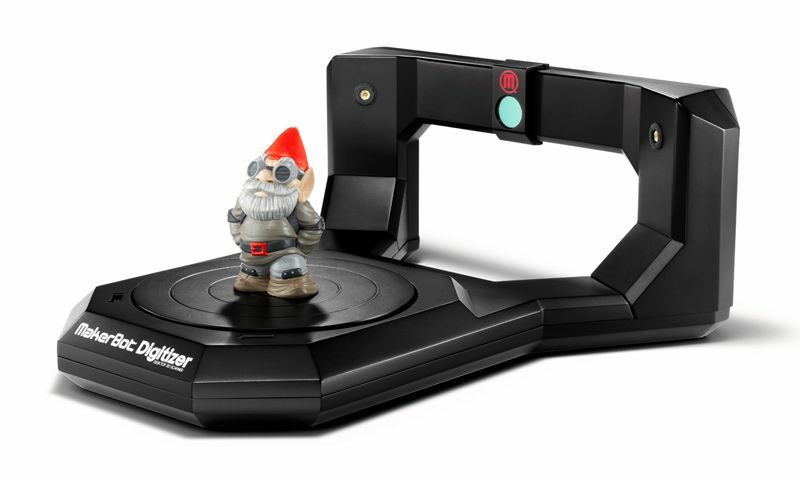 I see that the MakerBot Digitizer Desktop 3D Scanner is still available for sale at a reduced price, currently $799 USD. Though in the end I did not purchase that one, mostly because of the higher price and the fact that was limited in functionality… it only offers you a small table for scanning small object. I wanted to go for something that would allow me to scan larger things, so I went for a handheld scanner instead – the Cubify Sense, now 3D Systems Sense. This model seemed like the better choice at that time for me and was available at a better price, so not a bad model for trying out the technology without investing too much into it, right? It ended up being a good choice in the end as it allowed me to try 3D scanning first hand without paying too much and then just getting not very happy by the results I got. Frankly said, I did not research a lot about 3D scanners, unlike for 3D printers, before actually going for a device, so I was a bit unprepared what to expect. That is why you should manage your expectations better and just know that you are most likely not going to get much in terms of details and quality from a consumer grade 3D scanner. When I’m talking about a consumer grade 3D scanner I mean devices that are not intended for professional use and are pretty much with a price range up to about $1000 or maybe not more than $2000 USD. These devices are simply not going to be able to provide you with very good resolution and thus the detail level will suffer, their software is also probably not as advanced as with the many professional solutions available for higher-end 3D scanners, so that means you will need to spend more time cleaning and refining the 3D model data that you will get after the scan is over. Even repeating the scanning process is often required in order for you to try to get better results than the first try you did. In the end when you finally get to the 3D printing part and the resolution of the printing does also take away some of the detail you might not be very happy with the final result. Surely the consumer 3D scanners are fun and nice to play with, you just have to know that you should not expect too much from them. You will not be getting 1:1 copies of the things you scan, although the general shape will be there, the finer details most likely won’t be scanned properly. 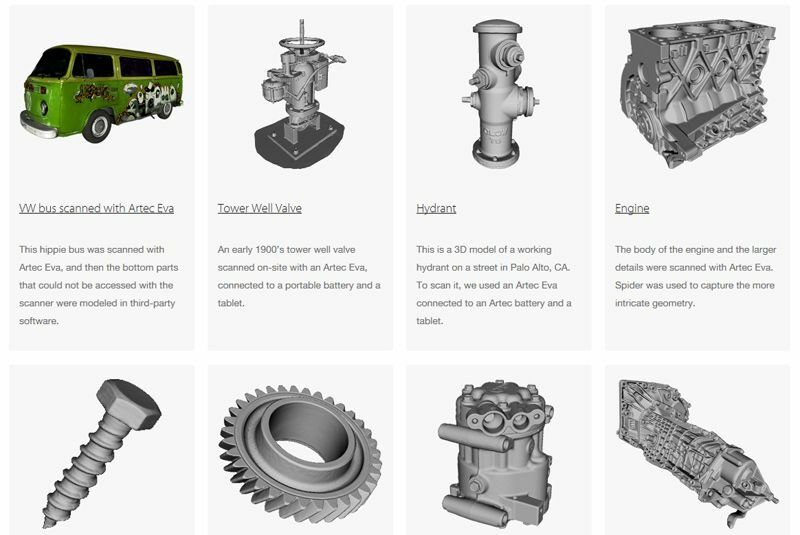 Of course you can always go through the extra step in refining the more basic 3D model you get from a scan with the help of a serious 3D modeling tool to add the missing detail or even enhance so of the not so good results you achieved with the scanning process. That however would require an extensive knowledge of 3D modeling techniques and thus is not something that most normal users will know how to do. So the thing you are probably going to do is to rely on the tools for cleaning up a bit and enhancing the results from the scan that software you got with the device will allow you to use. If you want to take a look at what a high-end professional 3D scanners is capable of and how much it costs to get good results you can check Artec – one of the leaders in professional hand-held 3D scanners. They most basic model starts at about 10000 USD/EUR price level and the more precise and feature rich models can go up a multiple times. Artec is the company that a while ago actually did a 3D scan of President Obama using their 3D scanners, so you might be interested in reading about it if you have missed it. Of course there are other companies producing high-end 3D scanners for professional use that are able to deliver good results in terms of higher quality and level of detail, the common thing about them is that they are all pretty expensive. 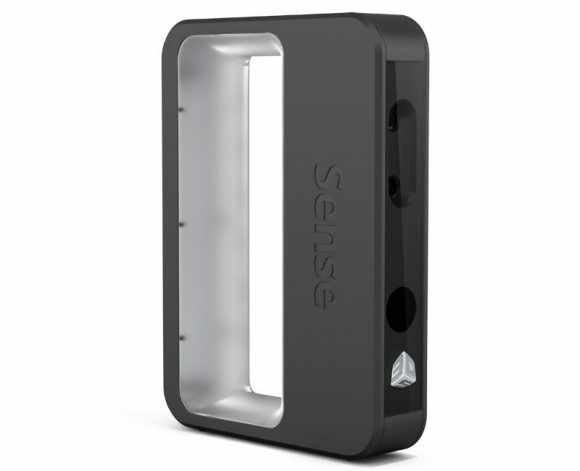 This makes the entry barrier for a regular consumer unreasonably high, so what is left for us is a not so good consumer model that is actually affordable or not to go for a 3D scanner at all in this stage. Unlike the 3D printers market where the last few years we have seen a lot of development in the consumer segment, 3D scanners have still yet to live their consumer revolution moment. 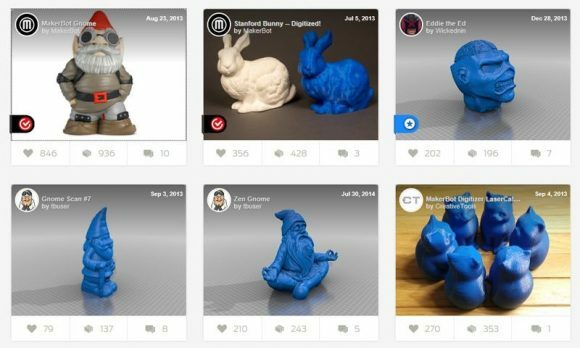 Time to answer the big question now: should you get a 3D scanner or not to go along with your 3D printer? Unfortunately there is not a definitive answer like a yes or no. If you are going for a consumer 3D scanner make sure you don’t spend too much and don’t have too high expectations for the quality and level of details. If you are going for a professional model then you are most likely going to need it for work, like if you have a 3D printing business and want to provide a 3D scanning services to customers for example and thus the high cost may be justified. As a regular user getting starting in the world of 3D printing it will be much better to focus on learning how to 3D model things, a skill that will be useful not only for making things to 3D print. A 3D scanner may seem like a shortcut, but with an affordable consumer level device you will quickly change your mind on its usability for replicating physical objects. Especially when talking about more complex things or ones with a lot of fine details, you might be able to design these from scratch with much better accuracy and quality than having them scanned. That of course will require some time learning and improving your 3D modeling skills, but that is one thing that you simply need to do at one point if you are seriously interested in 3D printing anyway. 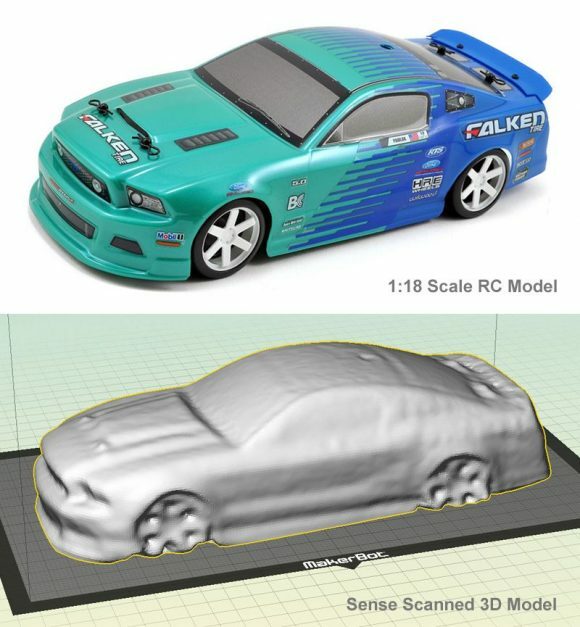 Important tip: Do a proper research of the model of a 3D scanner that you might want to get – read user opinions and reviews, try the scanner software if available for free download before buying the device, download some 3D models scanned with it (preferably made be users and not official by the company making the device) and try 3D printing them. Regardless if you have selected an affordable consumer 3D scanner or a professional level solution, do your research before and not after you buy it! If you want to explore a bit more about what kind of quality you can get from a professional high-end 3D scanner you can visit the link below. Artec does provide some 3D scans made with their products and they are also available in STL format, so you can open them with your 3D printing software and even print them if you wish. Just don’t forget that this is what you can expect to get with a professional level 3D scanner and not a consumer grade one! Alternatively you might want to check what a consumer grade 3D scanner like the MakerBot Digitizer I have mentioned earlier can do, there are a lot of user made scans available on Thingiverse that you can check and download in STL format and open with your 3D printing software as well or also print on your 3D printer.